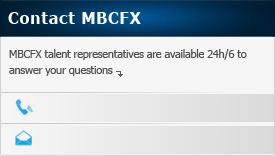 MBCFX webinars are conducted by some of the leading industry experts. Registration is free and takes less than a minute. Ready to get started in the Forex market? Join us for an introduction to forex trading and discover the opportunities that exist in the world's most traded financial markets. Getting Started in Forex Webinar offers an overview of currency trading, including key concepts, ideas, and market terminology. About the major currencies and how to interpret currency quotes, and CFD prices. How to place trades and understand order types, as well as managing positions. How to read charts and perform basic technical analysis using MBCFX trading platform. How to trade forex as well as other instruments we offer, such as as oil, gold, etc. This webinar will conclude with a 30 minutes Q&A session. The session is recommended for beginners in forex trading.